In 1935 Adolf Hitler passed the Nuremberg Laws, antisemitic laws that revoked citizenship based on race, bloodline, and opposition directed towards the Nazi regime or Hitler himself. Today, in 2012 we have a similar piece of legislation being presented to our very own house and senate here in the United States of America. 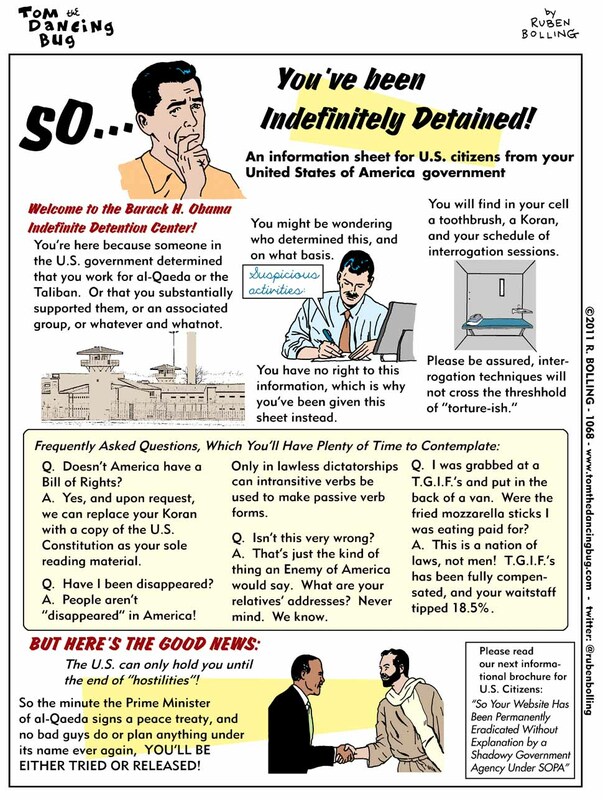 This “neo-nuremberg” law, known as the Enemy Expatriation Act, seeks to grant our federal government unprecedented powers with no foundation in the constitution, namely, the ability to revoke citizenship of any US citizen based on “engaging in, or purposefully and materially supporting, hostilities against the United States.” By stripping away US citizenship, our government effectively removes all protection under the law, thus flinging wide the door to unfettered human rights violations completely divorced from the checks and balances of true democracy meant to protect us from this very type of despotism. That our ruling class elites seem to think that its a good idea to model our justice system off of Hitler’s fascist Nazi regime speaks to just how out of touch they are with the American people, the constitution, and the inviolability and sanctity of human rights. The full text of the Enemy Expatriation Act can be found here. Recently, Obama signed the NDAA into law, authorizing the indefinite detention of anyone, including US citizens on US soil, without trial under the pretext of potential terrorism. However, the president vowed to never use his new power to detain a US citizen without due process because that would be against the “spirit of America.” With the introduction of the Enemy Expatriation Act Obama’s promise, however, may be rendered irrelevant. If the bill, currently being passed through Congress, passes in its current form it will let the government strip away citizenship from any person engaged in hostilities, or supporting hostilities, against the United States. The law is brief, but in short it warrants the US government to strip nationality status from anyone they identify as a threat. With the power granted by the EEA to strip away citizenship and by the NDAA to indefinitely detain without trial literally anyone could be whisked away on government whim, representing an American despotism in direct violation of our constitution and, indeed, the spirit of America as it was meant to be according to our founders. The story can be found at Russia Today. Unfortunately a google search of “enemy expatriation act” yielded only the one major news outlet as of the publication of this post. No mainstream media outlet has picked up the story of one of the greatest threats to American liberty, possibly in the history of our country. No CNN, no Fox, nothing. Its a sad commentary on the state of American public discourse when the most reliable news source I can find on US affairs is Russia Today.